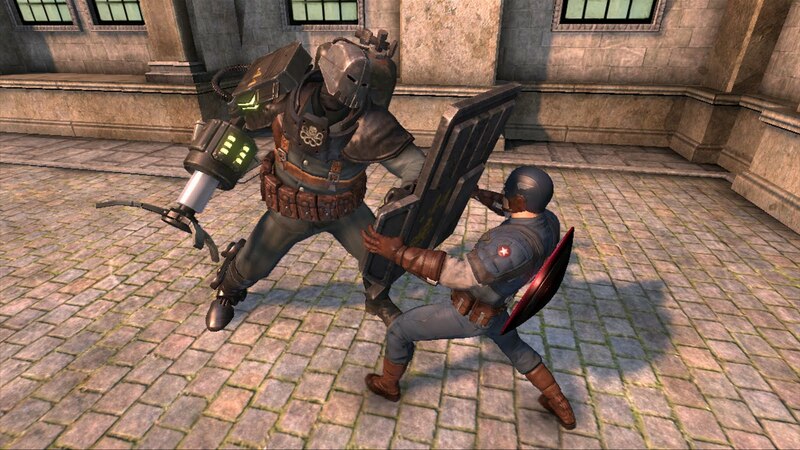 When I first got the chance to play Captain America, it was back at the New York Comic Con in October of 2010. Even in it's early form, Cap was impressive. So impressive that I was telling people (some of whom flat out called me crazy) that it felt like a 'lite' version of Arkham Asylum. It had so many of the same elements, but with less depth and an easier feel. And that pretty much holds true for the final product as well. When the story begins, after you play through a short intro in the trenches of WW2, we find that Cap (voiced by Chris Evans) is being air dropped into a castle deep in the mountains of Germany that has been occupied by Hydra forces. But this is no ordinary castle- it belongs to Baron Zemo, who fans will recognize as a long time Avengers villain, and Hydra isn't there for a social call. It seems that the Zemo clan has found something called the 'Sleeper' under their ancestral home. The Red Skull, having learned of the discovery, moved himself and his men right in and summarily gave Zemo the boot. The whole story is told through a series of diaries that are scattered across the castle- and that's one thing that's really cool about this title, the fan service. There's a ton of Marvel history packed in here. You'll run across many of the biggest (Hydra associated) villains in the MU and a load of nods to not only the film, but the comics as well. In fact, many of the enemy designs will immediately call up the look of classic Kirby artwork from the early days of the star spangled hero. It's great stuff and is a lot of fun to see in action. And seeing these characters on the screen is made all that much better by the excellent graphics at work that brings everything to life. Captain America himself looks perfectly in line with the movie and will not disappoint fans of the character. The Hydra soldiers are a pretty varied group that runs the gamut from normal soldiers to cyberneticly enhanced juggernauts. Between the great designs and intuitive melee system, engaging in combat with the forces of the Skull really never gets old. The combat, while not as deep as the Batman's fighting system, is very good. Cap smoothly shifts from opponents to opponent with ease, taking on huge groups of men and walking away with all of them kissing the ground. 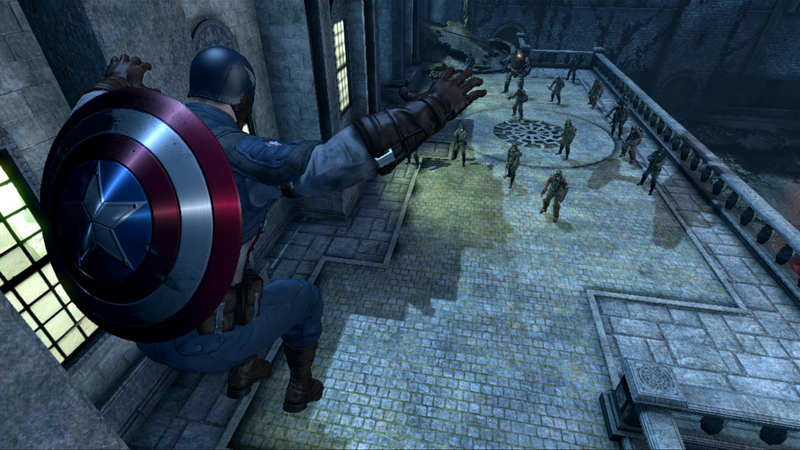 In addition, special focus attacks allow Captain Rodgers to deliver devastating blows that will KO all but the toughest enemies. 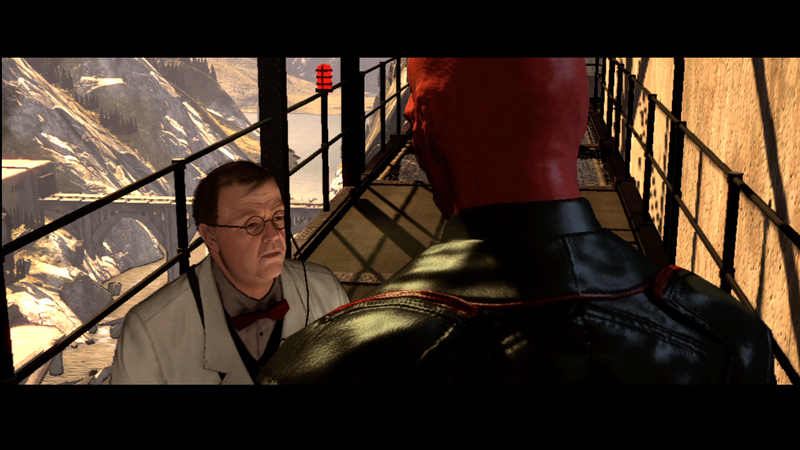 There's also an alternate vision mode that coats the screen in sepia and taps into Steve's heightened senses. It does a great job of showing the player all of the interactive elements of the well crafted levels. Things like jump points and usable weapon stations get a golden glow around them and can make what can sometimes be a slightly confusing next step all that much easier to figure. If you haven't figured it out by now- I really liked this game. 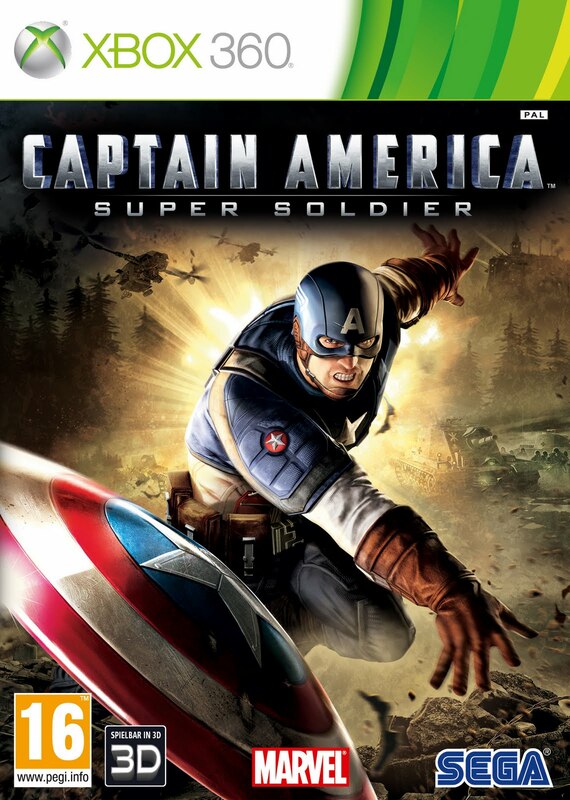 From the presentation, to the cool collectible items and terrific gameplay, Cap was a joy for this Marvelite to play through. If there was a bad point to talk about, I'd say that there were a few technical glitches here and there. Nothing major though, just that occasionally the camera was probably meant to pan up a little quicker than it did- which resulted in me seeing the good Captain even though he was meant to be off screen. 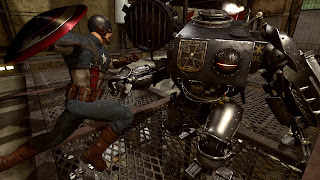 (Not that I didn't get a chuckle from seeing Cap running around in a circle like Curly form the Stooges) Great game overall though and a good job from Sega, more like this please.